For a few years now, Bogota has been rising as one of the Latin American capitals with more to offer to the visitor: culture, fashion, history, art, a vibrant nightlife, rich gastronomy and most importantly, amazing people, who’ll make you feel at home from the moment you set foot on the Colombian capital. Here we present a list with the best neighbourhoods to stay in Bogota and the hotels that each one offers while in the Colombian capital. From the most original B&Bs, luxurious hotels and budget hostels, we’ve chosen the best accommodation options in Bogota so you take the most advantage of your trip and discover all that this Andean city has to offer. Additionally to the neighborhood information, we’ve also included a small safety section for you to take into account when choosing the best area to stay in Bogota. 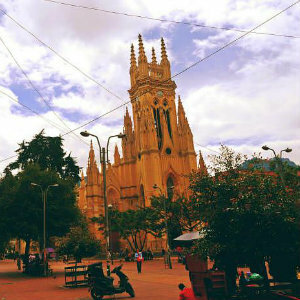 Zona T, also known as Zona Rosa, is the shopping and dining area of Bogota. It’s also where the best places to party in the Colombian capital are located, and it boasts restaurants, shopping centers, designer stores and national and foregn fashion retailers. This area is at the bottom of what locals refer to as “North of the City” and many of its streets are pedestrianized, so it’s very easy to explore on foot. It is one of the best areas to stay in Bogota for travelers looking for shopping, the party scene and also business travelers. It’s also a great area for those wanting to explore the beautiful northern parks, like the Virrey Park and the Park on 93, both located not too far from here. Zona Rosa offers numerous accommodation options, from simple B&Bs and inns to luxury properties from the most prestigious hotel chains. Its great character, the abundance of things to do day and night, and its good connections to the rest of the city make Zona Rosa the best area to stay in the Colombian capital. Is it safe? 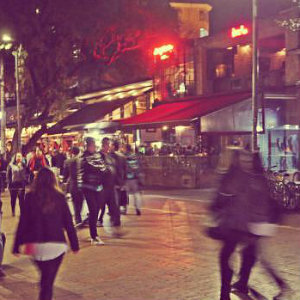 Although it’s always recommended to practice common sense, Zona T is a safe area to stay in Bogota, both during the day and night. Lovely NH Royal La Boheme Hotel is located less than 5 minutes’ walk from the Andino and El Retiro shopping centers. It offers elegant rooms and free WiFi in one of the best areas to stay in Bogota. – from US$ 99 . Budget Zona T Boutique is located 500 meters from the Zona Rosa. It has a shared lounge and free WiFi. The rooms have a functional decor with wardrobe, private bathroom and views of the mountains and the city. – from US$ 24 . Hotel Excelsior is located just a 10-minute walk from Atlantis Shopping Center and El Virrey Park. It offers modern rooms with free Wi-Fi, satellite TV and a private bathroom. – from US$ 49 . The Sofitel Bogota Victoria Regia Hotel is located 500 meters from Zona T, it offers luxury rooms with free Wi-Fi. It also has a restaurant, bar, business center and gym. – from US$ 139 . Due to its location, the center will always be a perfect scenario to know the city and move easily by foot. Although Bogota’s city center is a little chaotic, it has a bohemian, urban and historic feel, which makes it very interesting and charming and one of the best districts to stay in. If you decide to stay in La Candelaria, you’ll be in the area where Bogota was born and where most part of its cultural life concentrated, therefore, you’ll have many emblematic places close by, like the Plaza de Bolivar, Casa de la Moneda, Gold Museum, Teatro Colon, the Monserrate mountain and other must-see attractions such as the Chorro de Quevedo, Botero Museument, Cenro Cultural Gabriel Garcia Marquez, all surrounded by hundreds of typical bars and restaurants that evoque Bogotá’s colonial heritage. 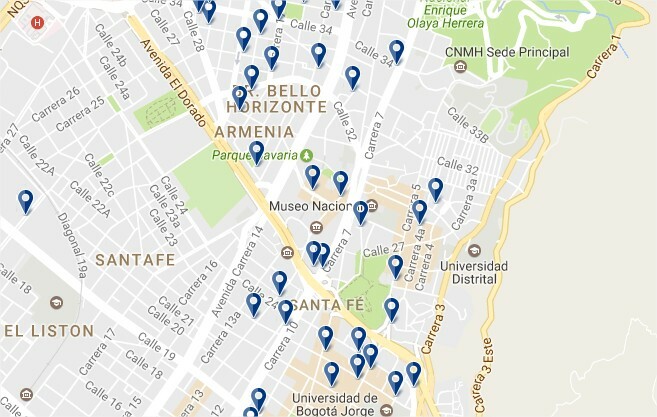 In general, hotels of this area are the cheapest in the Colombian capital. Is it safe? Although during the day there shoud be no problem, at night, La Candelaria is not the safest district to stay in Bogota, therefore caution is recommended if you choose to stay in this neighbourhood, especially in the less busy areas. The lovely Hotel Casa Deco is located near the center of Bogota, between the TransMilenio stations Museo del Oro and Las Aguas. It offers Wi-Fi, a business center and a 24-hour reception. – from US$ 59 . Tip Top Backpackers Hostel is a 5-minute walk from Bogota’s Central Bus Station and a 10-minute walk from the Plaza de Bolivar. It offers a garden with barbecue facilities and free Wi-Fi. – from US$ 7 . Casa Platypus is in the district of La Candelaria, 50 meters from Parque de los Periodistas in a good area to stay in Bogota. It offers rooms with a flat-screen TV and a rooftop terrace with city views. – from US$ 44 . Classic Hotel de la Ópera, located next to Cristóbal Colón Theater and opposite San Carlos Palace, offers rooms with free Wi-Fi and cable TV. It has an indoor swimming pool. – from US$ 139 . 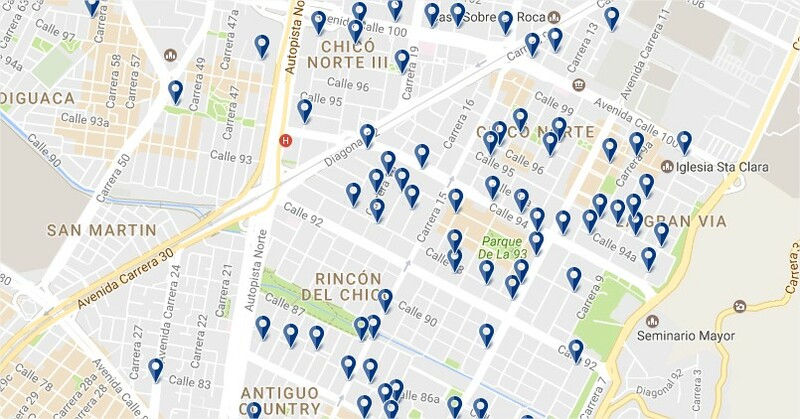 Chapinero district is a set of bohemian and alternative neighborhoods, very popular with university students. Characterized by its bohemian bars, cafés and restaurants, it has a young, vibrant and carefree feel to it. Being halfway between the relatively poor city center and the very rich northern neighborhoods of Bogota, Chapinero is a cosmopolitan, alternative area with infinite leisure and nightlife options. In Chapinero you can find the popular Zona G, the best gourmet area of the city; as well as Bogota’s gay district, known by locals as Chapigay. The hotels in this area are as different as its people and here you can find from cheap B&Bs to ultra-luxurious hotels. Chapinero is a well connected area of the city, with Several TransMilenio lines and stations. Is it safe? The south and central areas of Chapinero are pretty safe during the day, and on busy streets there there’s no problem at any time. However, it’s recommended to avoid lonely or dark streets after midnight. Hotel Spa Casa de Lavim, located in one of the best areas to stay in Bogota, offers free WiFi in all facilities 1.6 km from Zona T. It also features a solarium, spa center and bar. – from US$ 43 . Hostal La Pinta is located in the center of Bogota and offers comfortable and functional facilities and free Wi-Fi. The rooms are private or shared and have wooden furniture and private or shared bathroom. – from US$ 8 . Hotel Abitare 56 by Stanzia is conveniently located in Bogotá’s Chapinero neighborhood, 4 blocks from TransMilenio Station on Calle 57. It offers modern rooms with a TV, a tour desk and free Wi-Fi. – from US$ 44 . Hotel Casona del Patio is located in the quiet neighborhood of Quinta Camacho, in Chapinero. It occupies an English-style house from the 50’s, located a few steps from the financial district, Zona G and several restaurants and nightlife. – from US$ 47 . The Bogotá Hilton Hotel is located in the financial district of Bogota, it has an elegant decor and a heated outdoor pool and fitness center. There is also a restaurant. – from US$ 149 . The area of Chicó, Chapinero Norte and the area around Parque de la 93 is usually called simply “el Norte”, by the people of Bogota. It is a succession of upper-class neighborhoods dotted with parks and shopping centers. Around the beautiful Parque de la 93 and in the Chicó area you can find a great selection of hotels, most of them on the upmarket spectrum. We are talking about the poshest area in Bogota, after all. This area is a bit far from the historical center but it is possible to access the rest of the city via the TransMilenio or by taxi. Chicó is the best area to stay for luxury travelers and those worrying about their safety. But upmarket and safe does not have to equal boring; this area is filled with shopping centers, boutiques, galleries, restaurants and beautiful parks. 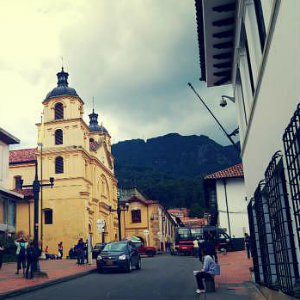 Chicó is definitely one of the best areas to stay in Bogota. Is it safe? Just like with zona T, Chicó is probably the safest area to stay in Bogota and taking a stroll at anytime shouldn’t be a major problem. The Click Clack Hotel is a 2-minute walk from Parque de la 93 and a 10-minute walk from the Zona-T pedestrian area. It offers an upmarket restaurant and a rooftop bar. Buffet breakfast is included. – from US$ 79 . Lloyds Apartasuites Parque 93 is located in the exclusive Chicó district in northern Bogota and a 15-minute walk from the lively Zona Rosa. It offers free Wi-Fi, parking and spacious apartments with kitchen and park views. – from US$ 63 . The Four Points By Sheraton Bogota is located in the trendy Chicó district of Bogota, about 800 meters from Parque de la 93 and Parque El Virrey. It offers free Wi-Fi in all rooms and serves a free daily breakfast. – from US$ 78 . Bogota International Center is one of the most modern areas of the city. Located to the north of La Candelaria and south of Chapinero, the International Center is a hub for the Colombian banking sector. It’s home to tall office buildings, the stock exchange, conference and business centers and some residential developments. In this area you will find attractions such as the National Museum of Colombia and the Plaza de Toros de Bogotá. 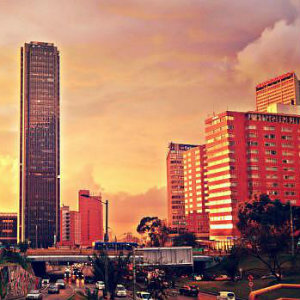 The Financial Center is the best option to stay in Bogota for business. It offers business-style modern hotels, with meeting rooms and excellent restaurants. 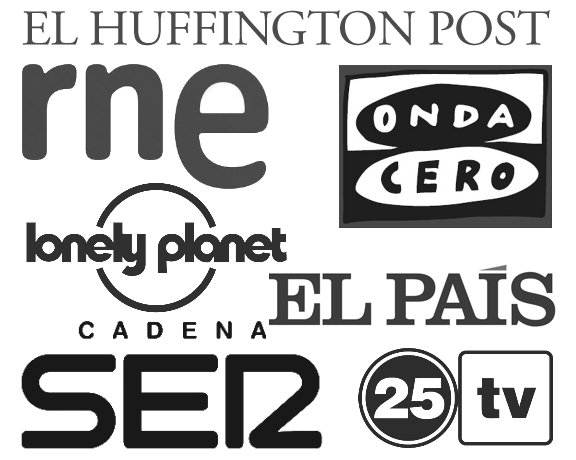 Nonetheless, it´s also possible to find more modest and affordable priced options in this area. Centro Internacional also has one of the main TransMilenio hub stations, so moving around the city is relatively easy. Is it safe? Although it’s not as unsafe as La Candelaria, caution is recommended at night in this area. 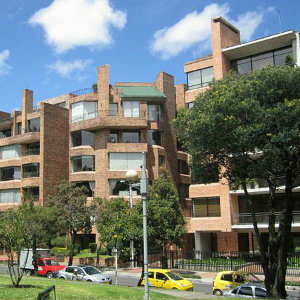 The Expo Suites Parque Bavaria is located in the financial district of Bogota. It offers rooms with free Wi-Fi and modern interiors in purple tones with white orchids. – from US$ 31 . Family-run Óle Mi Casa Hostal offers cheap accommodation in Bogota. It is a 25-minute walk from the historic center and 200 meters from the bullring. There is free WiFi in all facilities. – from US$ 16 . The Hotel Ibis Bogota Museo is located in an impressive building, only 50 meters from the National Museum. It offers rooms with free Wi-Fi and cable TV. It also has a bar and a restaurant. – from US$ 43 . Lovely Hotel Tequendama Bogotá is located in one of the best areas to stay in Bogota and has spa facilities, an indoor pool and a mini golf course. This luxury hotel features free Wi-Fi and a variety of gourmet dining options. – from US$ 74 . 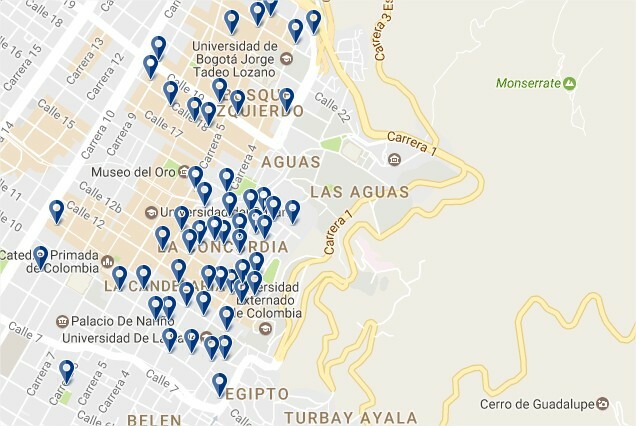 |ES| Dónde dormir en Bogotá – Mejores zonas y hoteles. |IT| Dove allogiare a Bogotá – Le migliori zone e hotel.